With the Divine command to convey God’s message to the people, Prophet Muhammad now started to invite those around him to the religion of Islam. This invitation continued for up to three years in secret. After Khadija, his close friend Abu Bakr, ‘Ali ibn Abu Talib and Zayd ibn Harith, his daughters Zaynab, Ruqayya and Umm Kulthum all became Muslims. In addition to these, Abu Bakr's close friends ‘Uthman ibn Affan, Zubayr ibn ‘Awwam, 'Abd al-Rahman ibn al-'Awf, Talha ibn 'Ubaydullah, Sa‘d ibn Abi Waqqas, 'Uthman ibn Mad'un, Sa'id ibn Zayd, ‘Ayyash Ibn Abu Rabi’a and his wife Asma bint Salama, Abu 'Ubayda ibn Jarrah, Arqam ibn Abu al-Arqam, Abu Salama, Ja‘far ibn Abu Talib and 'Ubayda ibn Harith were among the individuals who came to Prophet Muhammad and accepted Islam. During this period, Prophet Muhammad performed the prayer in his own house, at secluded foothills, in the Sacred Mosque during the midday quiet and was sometimes able to perform his worship together with other Muslims. In the meanwhile, he recited to them the Qur’anic verses that had been revealed to him, and continued his suhba, or his spiritual conversations about belief in God’s Oneness and Unity and obedience to Him, the Day of Judgment where human beings would be held to account for all their deeds in the world, as well as morality and virtue. He was careful not to convene and perform congregational worship in places and at times where the Makkan polytheists gathered. During this period of secrecy the Prophet and the Muslims assembled in the house of Arqam ibn Abu al-Arqam, who had accepted Islam at a young age; Arqam’s house was located at the foot of Safa Hill. Alongside being a place where they could comfortably meet with those coming to Makka for pilgrimage, the house of Arqam provided a place of solidarity where the Muslims could meet with Prophet Muhammad. Activities in the house continued until 'Umar ibn al-Khattab’s becoming Muslim. 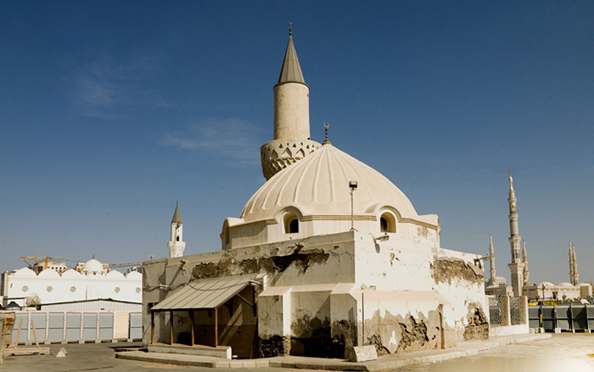 Dar al-Arqam (the House of Arqam), a phrase used in the sources to indicate the time when the Companions embraced Islam, assumed its place in history through the role that it played in Islam’s conquering hearts. Please type '423' into this field. Very excellent english language was used and very nice way/style is used.